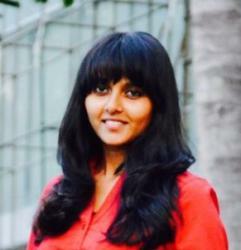 Ayushi is a Master in Management student, class of 2020 and a Frankfurt School Ambassador. Taking up challenges can be tough; being an international student in an unknown country is a challenge in itself. You leave behind everything familiar and move towards a completely new direction- an unknown terrain. When I decided to take up this challenge and pursue my masters, I wanted to make it worthwhile. Two weeks in and I can already say that choosing Frankfurt School has been the correct decision for me. Not only is this university in the elite group of the Triple Crown rated B-schools and has an excellent reputation in the industry but it also has a very strong and diversified culture made by its students. One of the most unique things that I really appreciate about Frankfurt School is the amount of time and effort they put in to make all the new students- whether international or local, interact with each other, get to know their peers and build friendships. That’s what the first week is all about, and it’s a lot of fun! My absolute favorite was the Outdoor Campus, which is a great initiative Frankfurt School takes to break the ice and give the students an opportunity to interact and party with their fellow classmates. The Outdoor Campus erases any cultural boundaries and helps bring everyone together into one single community- the FS community! This two-day event was the highlight of my first week at the university and I’m sure it is the same for every new batch that joins each year. If this isn’t enough to give you a good kick-start towards your new life, then we have the Student Council organized events that takes place every single day during the orientation week! Another great way to tour around the city, taste some delicious German beers and get to know more interesting people in the process. I was extremely pleased to see how welcoming and helpful everyone in my class was, which made it easier for the international students to blend in and get comfortable with the new environment. In a week’s time I made a lot of new friends and interacted with so many diverse and dynamic people. Everyone is interested to know your story and share his or her own. That’s what so great about Frankfurt School, it gives you a great platform to meet people from all over the world and yet keeps the taste of the German culture intact.